The Sega Genesis arguably revolutionized console gaming, and inarguably, Russ Pitts' life. God I loved the genesis, I only had: The Lion King, Jurassic Park and Sonic 1 and 2, but I sank sooooooo much time into that thing it was not even funny. Damn shame I can't find my old genesis or the games, the Sonic Games are easy enough to find as a download or as part of a collection, but I've never found Jurassic Park or Lion King again. My entire childhood was spent playing Sonic 2. My sister adored Sonic 1. We both have very fond memories of The Mega Drive. *Sigh* My 90's were sadly devoid of video games, aside from a few visits to my friend's house (and these were VERY few). Back then all my free time was spent in books and a little knew or cared what I was missing. I must admit a bit of jealousy when reading these stories about games bringing meaning back to people's lives. I really regret not getting into gaming sooner but I so glad I have it now. Thanks guys for helping to appreciate this. I know how people love to talk about themselves, but was really necessary to write a whole 2 pages about your life before even mentioning the Genesis? I remember growing up how one of my friends had a NES that I would play every time I went over. When I finally got a console of my own though, it was the Sega Genesis. My own experiences with the system are very similar to yours, only transposed 10 years younger. The memories of that system burn deep, I still remember the cheat codes for Sonic 2 and Desert Strike. NBA Jam with a buddy, couldn't beat watching Bill Clinton dunk on Warren Moon. To someone 10 years old, who missed out on the time of arcades largely, the Genesis was amazing. Thanks for the nostalgia trip, and for reminding everyone of the days when vaguely female chiptone voice going Se-gaaaa was a wonderful thing. My Genesis (which I stupidly sold in my last year of high school) ended up being the last console I would own until I picked up a PS2 in 2002. I seemed to have a knack for picking up the games no one else wanted to admit existed. Ignorant of the rest of the series at the time, I must have been the only person on the planet who liked Phantasy Star III. I'm a young fag, and never got into the genesis, but I did play some classic sega games, and they defined my life as a gamer almost as much as the SNES and N64 games I love. Ah, the Genesis - I never personally owned one myself (or any gaming console really, I've pretty much always been a PC gamer) but thanks my grandparents I have many fond memories of the system. Gunstar Heroes in particular was all sorts of awesome (and I can attest that you weren't exaggerating when you suggested that the Jurassic Park and Alladin games were surprisingly good for movie tie-ins), and of course there was Sonic, back when those games were still good. Happy times. Apart from some limited time on a friend's Super Nintendo, the Genesis essentially marked the end of my console-gaming days: my grandparents never got a newer console and we weren't allowed to have one even if we'd wanted one - as a computer enthusiast who was already deeply invested in the platform well before 3D-acceleration was a thing that anyone even talked about, consoles have never impressed me from a technical standpoint; I knew what went into them after all, and the various incarnations of my desktop PC have always had better hardware than whatever the current generation of gaming consoles contained. It was never about the technical underpinnings with the Genesis though, it was about the games, and they were (mostly) pretty damn good. Reading this account makes me miss that old system (I honestly don't know what happened to it now that I think about it). I can only echo all of what was said in the article. In fact, the only console I have ever owned was the Sega Genesis. After that it was the jump to PC and I never looked back. Sure, I've played on other systems, but the Genesis was mine, all mine (and my brother's, of course). Mine came with the Lion king game (which is also a decent movie tie-in to my liking, just not Aladdin and Jurassic Park quality). To these days I have to say Sonic defined my gaming life: the attitude, the speed, the somewhat underdog nature vs Mario and the rest of the Nintendo gang. Ah, good times. Now I'm nostalgic. Guess I'll fire up my emulator though my Genesis still works to perfection. Just have to blow a bit on the cartridges. You probably know this, but nostalgia comes from two Greek words: nostos, meaning roughly "homecoming," and -algia meaning, strangely enough, pain. It really came into play in those Greek tragedies where the tragic hero would return home... only to find it was no longer home, either because of home had changed or because the hero himself had changed so much. NES and SEGA both had that magic. It was a different type, depending on your age at the time, but magic nonetheless. It was discovery. It was the future coming into your home. And, because it was a gaming system, it was a portal to worlds you never imagined would be so readily available. In a way, it's sad to think that a new video game technology won't really have that same magic. Maybe some magic, but almost certainly less. Gone are the days when simply "pulling a quarter from behind our ear" would leave us spellbound, and gone are the days when we are amazed to have arcade-level technology in our homes. And so it is, when we look back at those moments that defined us, that we remember them fondly... but also heavily. You can only discover something once. As great as new experiences will be, they won't have that same sense of discovery or wonder. I had a similar experience with school band, and it changed my life. Now, as a teacher, a lot of the magic and mystery are gone, but I can at least relive them vicariously through a few of my students. Perhaps being in your position, commenting on (and thus helping to define for posterity) the gaming world will continue to afford you that same opportunity. I think that my first true love (in gaming) was the N64 back in the nineties. Yes, like everyone else, my first gaming experience was the NES and I even had a SNES, wich I'm very fond too, and a PlayStation 1. But the end of elementary school and the beginning of high school were pretty harsh and my N64 was always there for me. I remember the first time I saw a running demo of Mario 64 in a shop, running around, jumping and grabbing Bowser's tail and throwing him out of the platform was simply mind blowing. I was even extremely puzzled by it's newest controller scheme, shaped as a hand with 3 fingers (as my dad called it) and an analog stick in the middle, it was a novelty for me back then. Then, I recieved an N64 for christmas, along with Mario 64, Mario Kart 64 and International Super Star Soccer 64 and I was in love for the first time. Not only Mario could move freely in 3D, running and jumping around, he could also FLY!. Then my love for the console was simply cemented when Ocarina of Time arrived. My first action/adventure game I've ever played and my very first experience with a Zelda game. Then many classics of the N64 followed after that, big names of the console, like Goldeneye, Perfect Dark and Conker's Bad Fur Day, just to name a few. That's the time when Rare was a respected developer and maybe the best developer for the console, outside of Nintendo. When Acclaim was a respected brand and not today's blasfemy of korean MMO's. When Turok was great. When the word "party games" was associated to Mario Party and not shovelware. Sometimes I miss those days, when it was simpler, when it was amazing to see what a developer could do with the extremely limited space of the cartdriges, like Resident Evil 2 (wich I still consider the best version of the game). Yes, the PS1 also had great titles and whatnot, but I still have fond memories of the N64. I still regret selling it to buy an original Xbox, wich I never did. You're in the pub club, WHY are you doing more than single page stories? OT:The Genesis is a very interesting device, as it holds one of my favorite games of all time. A game called Shadowrun. I was big into Shadowrun back in the early '90s, and the Genesis version was the most faithful to the actual pen & paper version. Of course, it also produced the biggest competitor to Final Fantasy. It was called Phantasy Star. I wish they would make more, as it would challenge the Square Enix juggernaut to innovate their games. theres been a few. good times heh. I recently played through desert strike. Damn it was so much harder when i was young. It was merely trivial now. Fun tho. I also had a good old megadrive. Poor Sega, too bad the Saturn didn't catch on. ryo02 - ever played the MegaCD version of "Eternal Champions"? It's got similar graphics but new characters, new music and far, far better gameplay (you stand a good chance of winning with any character who isn't Larsan, Slash or the practically invincible Trident). And "Jungle Strike" and "Street Fighter 2" still rank as among my favorite games ever. Great article for bringing back the nostalgia - I owned a Sega Master System, Mega Drive (Genesis) and a C64, but it's the Genesis that I had the most fun with. never played the mega cd version ... never had a mega cd add on ... as a side note while I couldnt do it now Im fairly certain I beat eternal champions with every character although its hard to remember after so many years. hard to believe REALLY hard to believe that once ... *hangs head in shame* I ... I ... liked ........... "Rise of the robots" T_T DONT LOOK AT ME LIKE THAT ... I was just a kid. Ive done alot of gaming over the years Ive my regrets of course woudve liked to have bought the NES and SNES the first time round but it was a good run none the less. Where I was it was called the Megadrive and the premiere magazine for it was called "Megatech". It's gratifying to hear people compliment the Genesis. I had one myself, played the crap out of it every day -- Sonic, Golden Axe, Phantasy Star, Gaiares, Streets of Rage, Lemmings, you name it. I never had sports or girls or lots of friends growing up so it's not much of a stretch to say without it I would have just sat in my room and stared at the wall all day....or read Lord of the Rings 105 times. My best friend, my savior, was a chunk of black plastic and silicon. Even now, at the age of 33, I have a similar black plastic hunk just behind me. It's got a different logo, and more power in its little finger than anyone dreamed a system would have in those halcyon days, but the principle is the same: For a few hours a night, I get to be someone else. Can anyone solve this mystery for me? I can't seem to mention to anyone that I was a Sega kid without getting crapped on for not playing Nintendo instead. This strikes me like a Harry Potter fan calling someone a fag for liking Lord of the Rings. I've never understood that kind of thinking. Calm down, we're all geeks here. Wow, Russ, that's got to be one of the greatest love stories I've ever read. I, too, had a Genesis (and scads of other consoles along the way (both before and after Sega's console era) but my fondest home-gaming memories are locked into the NES. So much school cut so I could ride my bike over to my buddy's (he had already graduated) so we could play the latest NES titles he'd gotten from Sears (the only place on Kauai with a steady stream of games and a generous return policy...it wasn't for some time that we finally got 1 video-rental/electronics store that would rent NES games.) Thanks for sharing the memories. I think, no matter the age of the gamer, we all can share a similar story with our consoles of choice. Wow another Sega Genesis fan, normally I just get told off about the other competing consoles having better bla bla bla or the Genesis wasn't worth it. Yet here I am with a writer telling me about adventures he's played that I've yet to talk to anyone about, or rather hear/see it from someone else. Desert/Jungle/Urban Strike? Flashback?? Holy crap these are games that I thought I alone had, I grew up enjoying these titles on something ELSE that no one knows about SEGA CHANNEL. That was my gaming fix, straight through a coaxial cable line, I didn't even own a lot of the games I played originally because of that wonderful device. 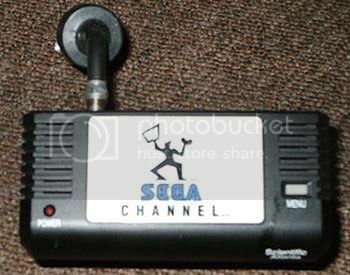 Though like your NES story I had the dumb moment of my life where I said, I got SEGA Channel why do I need the games! So off went some rare titles that I regret selling...very much so, only to have to wait X amount of years to reacquire. I still have my original Genesis gifted to me back in the christmas of '91 by my generous Grandmother that came with Sonic The Hedgehog (Not for Resale). And it's still hooked up to my TV and I still get a kick out of playing the games, just as much as before if not more. No messing about with collections and compatibility troubles. The original Genesis, the real controllers and full on Blast Processing for the real nostalgic kick to the face. Way to remind me of my favorite console of all time, Russ! I also have an interesting tale of love which involves the Mega Drive (as it was called here in Brazil). I got mine as a gift from my parents in 1991, when I was 16. That was only a few days before I found out my girlfriend was pregnant. I don't know how most people would react in my place, but I chose to understand that news as another, far greater gift. I was terrified, exhilarated, even a little sad, but above all, I started feeling a new kind of love growing inside me, a love that was different because it was for a person I didn't even know yet. Most of those feelings didn't even cross my mind until later that night, when the shock started to pass and I was alone, playing Revenge of Shinobi on my Mega Drive like there was no tomorrow. I don't want to imply the console was the only way I had to cope with the huge change that happened in my life being a teenage dad, but it certainly helped some. I would have other consoles over the years, but that Mega Drive, besides being the absolute best of them all, has a lot of sentimental value, and is the only one I never sold. And sure enough, my son started his gamer life on that same Mega Drive. He'll be nineteen next June, and being a damn fine gamer is only one of the million reasons I have to be proud of him. Very thoughtful response. Thanks for that. You have put your finger on exactly the core reason why I write and why, when it comes to writing about games, I have ONLY written for The Escapist. I Actually own a Genesis right now, though all it has is Sonic 2. Once I can start making my own money, I plan on collecting all the Sonic Games for it (As well as the Sega CD and Sonic CD. Also Altered Beasts just because I hear it's really good), but I only really played Sonic 2 1 time for this dumb review I did of it (Which I still have on my Youtube, But I won't show it here unless someone PM's). It was fun, but growing up with an N64 (The Best Console EVER), I guess I have bias against it. Like Fappy, I played NES first, but the Genesis was the first console that I owned. I got it for birthday that year and I've never looked back. The thing is still hooked up to my TV and gets played regularly. Aladdin and Sonic were among my favourites, but there were so many great games for that console it's hard to pin down just one to be the favourite. Dastardly has already said everything else I had to say. The Sega Genesis didn't represent arcade-perfect conversions, in fact the first home console the featured an absolutely arcade-perfect experience was the Dreamcast. Many of the arcade conversions on the Sega Genesis were missing or lacking in the areas of video or sound. Sound for the Sega Genesis was especially lacking with its tinny sound and distorted voice cuts. Color palettes for arcade conversions seemed too dark and/or were missing noticeable frames of animation. Desert Strike is a poor example of "arcade-like" gameplay. Yes, the action is fact and furious and challenging, but the game becomes boring looking for the next objective to destroy. And by boring I mean you could fly for at least 15 seconds to parts of a map and not face the threat of AA or AAA. In arcade games, the threat of defeat was ever-present. Desert Strike lacked that. That brings me to why I enjoyed about the Genesis system: arcade-style scrolling shooting games. Compared to other contemporary systems the Sega Genesis had the largest catalog of arcade shooting-wannabes and conversions, second to the Turbografix-16. Thunder Force 3 & 4 definitely warrant mention. Amiga 500+ for me, but huge respect to Sega of course. Brings a tear to my eye thinking of the days when Sega used to produce some of the best video gaming hardware known to mankind. I've always loved the Mega Drive, as a kid it was basically my favourite system despite all the other advancements and "better" consoles out. There was something special about it to me, it was more arcade style and had a more broad range of games to me. Many memories of playing it with my brothers as a very small child. I feel the exact same way. ''This was the beginning of my gaming life'', couldn't have said it better. as for your opinion on the Genesis being the first to port arcade games well, you are right. I see some comments about not perfect ports, well that's correct, not all ports are perfect, they had to be tamed down due to many things, like home TV's, the console and cartridge size (arcade machines are specifically built for each game). I think where he was going was not just the look of the game, but more the true arcade feeling, for the first time you could rent or buy a game that looked and felt like you were at the arcade. Thank you GENESIS I have many great years too. My first gaming was at an arcade in Edmonton Alberta in 1981. $5 and an afternoon of bliss. First console was the 2600 and owned quite a few since. Presently playing 360 and there's a Wii that my wife plays with sometimes. I do miss the days of the arcade though.